Delhi is the capital city of India. Delhi attracts tourists from all over the world. There are many tourist attractions in the Delhi city. Tour to Famous Monuments in India offers you pleasurable and memorable travel experience. It is also called as metropolitan city but has its own wonderful cultural heritage to offer. The heritage monuments of Delhi beautifully reflect the glorious history of this place. From heritage to history, entertainment, adventure, modern attractions, handicrafts, cuisine and theatre, Delhi offers lot of attractions for the tourists. India Gate is built to commemorate the bravery of thousands of soldiers that gave up their lives during India’s historical war periods. It stands as a tribute to the 90,000 soldiers who sacrificed their lives during the World War I and the Afghan war. This splendid arched memorial reaches a majestic height of 42 meters. 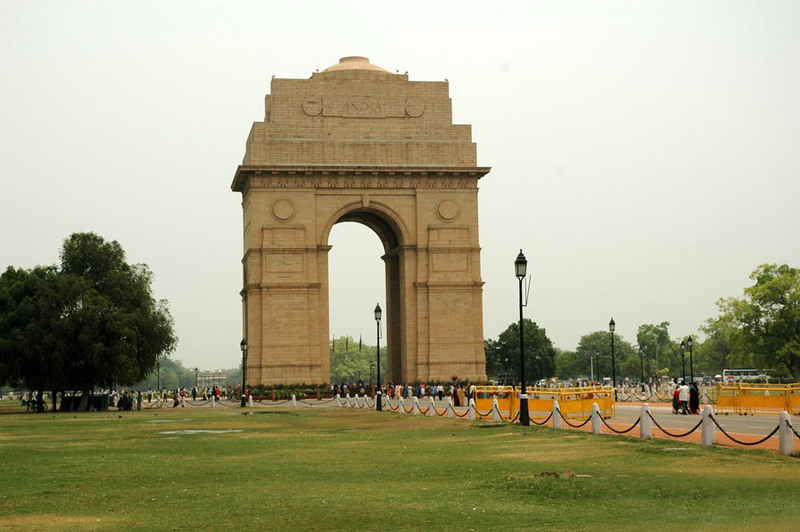 The India Gate is constructed out of granite and red sandstone. These are bought from different places of India. It is a prominent landmark in the heart of the city and is popular among both locals and tourists alike. It dates back to the year 1921 and India Gate was designed by Edward Lutyens. This beautiful India Gate memorial is also recognized as the site of the Amar Jawan Jyoti, which when translated means the ‘flame of the immortal soldier’. This shrine was built in remembrance of those who lost their lives in the India-Pakistan War in 1971. The great India Gate is surrounded by lush green lawns, Children Park, boating etc which makes India Gate Delhi a popular picnic spot for the tourists. As the day draws to a close this great Famous Monuments in India is illuminated with light bulbs which make it look all the more enchanting. The India Gate looks best at night because night the illuminating light above the gate gives a different look. Its entire structure is very beautiful with the dark velvety sky. Family members and couples visit the India Gate the great Famous Monuments in India to relax and have fun together. You can enjoy tasty snacks and local delicacies near to the monument. Such as bhelpuri which is very tasty and fruit salad with a spicy sauce that are sold by numerous food vendors in the vicinity. Indian Monuments Attractions are worth to visit. To see the gate in all its glory, visit it during a cultural festival and you can enjoy an array of singing and dancing performances as well. 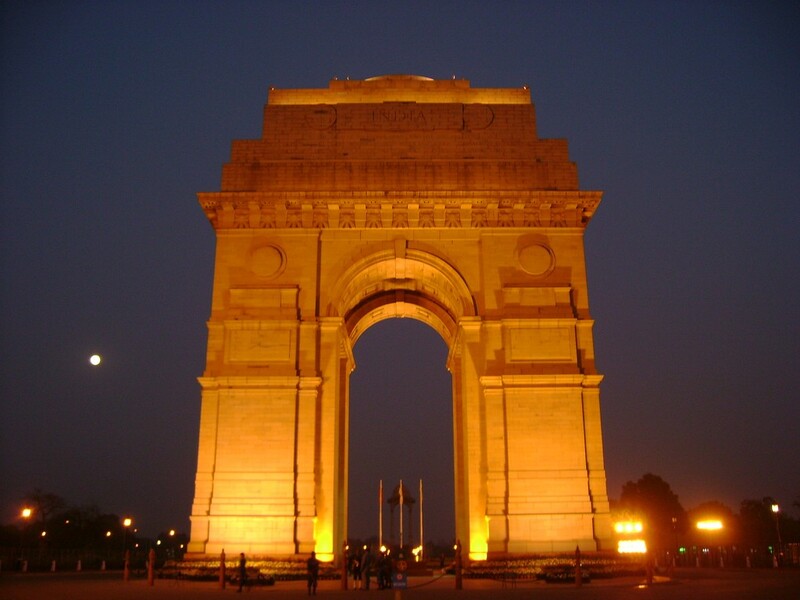 The best time to visit India Gate is after sunset because the atmosphere becomes very pleasant in the evening. Visitors can also enjoy boating in the water bodies alongside the lawns.